In our spectacular society, new technologies are transforming the way we produce material culture. In sculpture we see computer-guided 3d printing taking the place of clay modeling. 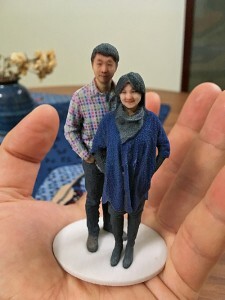 People can be scanned by machines and reproduced as mannequins. Laser cutting machines are taking the place of traditional stone carving. 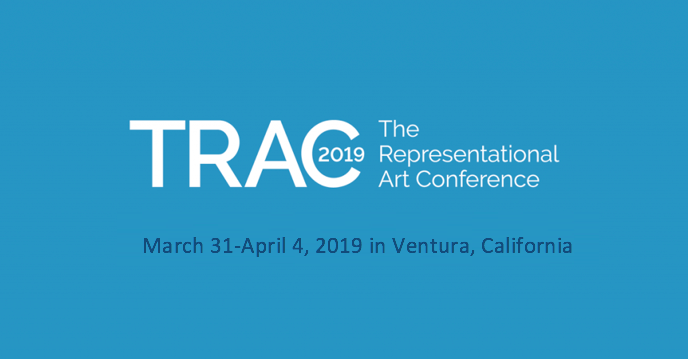 Inevitably, the advance of new technology impacts representational art. To the uninitiated, making images by chipping rocks with a chisel, or squeezing mud into shapes may seem obsolete against the technological background, like knowing how to start a fire by rubbing sticks together. This, of course, was the same sort of objection that was made against drawing and painting after the introduction of the camera, but a century after its invention, connoisseurs buy beautifully crafted paintings for far greater sums than machine-made prints precisely because perfect, endlessly-reproducible, mechanically-made objects lack the individual touch of the human hand, and it is this individuality that is at the heart of the purpose of art. When we experience a work of art, first we make an immediate assessment of if we like it, how it makes us feel and whether or not we welcome that feeling, or if we are indifferent about it, or if we positively dislike it, then we begin to ask questions about it –who made it? How did they do it? What were they trying to express? Did they do it well? When we look at an object without first knowing it was produced by a machine we make these same assessments. We may like the object in the first instance, then stumble when we find out that it has been mechanically produced or reproduced, and feel deceived. Art is always about the sharing of an idea as an image between an artist and a person looking at the work of art. Art has no other function. Obviously, the individual who expresses the idea in the work of art is an important factor in this equation – we may respect them and admire their work for their innovation, or for the quality of their work, or for their romantic life-story. 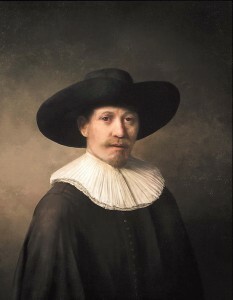 This image “The Next Rembrandt” was produced by a computer, programmed to combine attributes of all of Rembrandt’s portraits. This knowledge changes our perception of the image, which we may have at first regarded with interest and enthusiasm, for we know of Rembrandt’s stature, and admire the quality of his work. Without a doubt, I can say it is a pastiche, a fake, an imitation. The idea that it is equal to a Rembrandt painting is hubris – the best that can be said of it is that it is equal to a good forgery. Computers can only imitate things that already exist, can only follow the programming that humans put into them, cannot imagine. Computers cannot produce an original in the sense that we understand original works of art. Once programmed to produce, the machine can endlessly reproduce. A falsely limited edition is the closest equivalent to an original they can achieve, but this is an artificial restriction that is quickly recognized as a false cover. We value unique works almost as much as we value the human touch. A multiplicity of identical things diminishes the value of all of them and makes the original – if there is one – more precious. Consider the Mona Lisa. 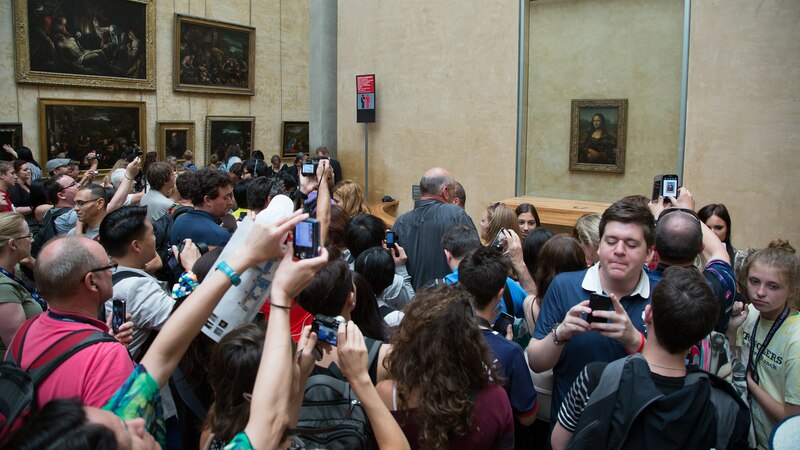 Although the painting has been reproduced a billion times in easily accessible prints, on coffee mugs, on t-shirts, at the Louvre a crowd of people collects around it daily, vying to get a selfie with the priceless, untouchable real thing, shielded behind bulletproof glass. Computers are not conscious in the same way that humans are. Consciousness is an emergent quality of physiology. The human mind springs from human physiology. If artificial intelligence ever develops consciousness it will be colored by mechanical physiology, and it will be as hopelessly alien to us as the consciousness of octopi. We may teach computers how to imitate human consciousness, but if machine consciousness does emerge, it cannot be the same as human consciousness. And it will not have human imagination. It’s an emergent quality of the human mind that nobody understands. Without it, we would still be swinging around in treetops and being eaten by wild beasts. Without imagination, art is duplication and repetition. In the spectacular society imagination is one of the most important gifts artists have to offer. When imagination is married with technique, wonders are made manifest.